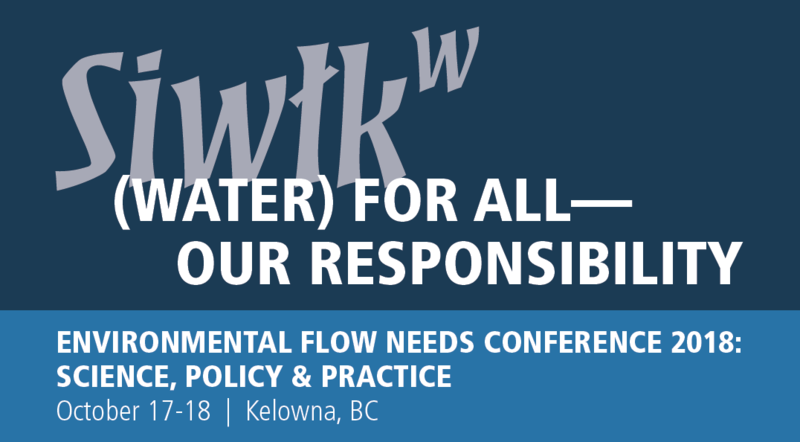 This conference brought together representatives from national and international organizations engaged in water management or research, including fisheries and water managers, First Nations, regulators, policy-makers, academia, and NGOs. 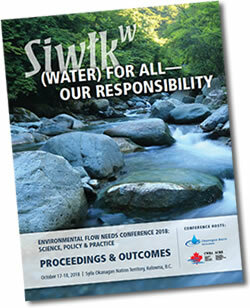 The conference covered several main themes and focused on the current state of EFN-setting in B.C. and recent EFN-related work in the Okanagan and elsewhere in Canada and the United States. The Environmental (or in-stream) Flow Needs (EFNs) of a stream are defined as the volume and timing of water required for effective functioning of the aquatic ecosystem – for fish and other needs. 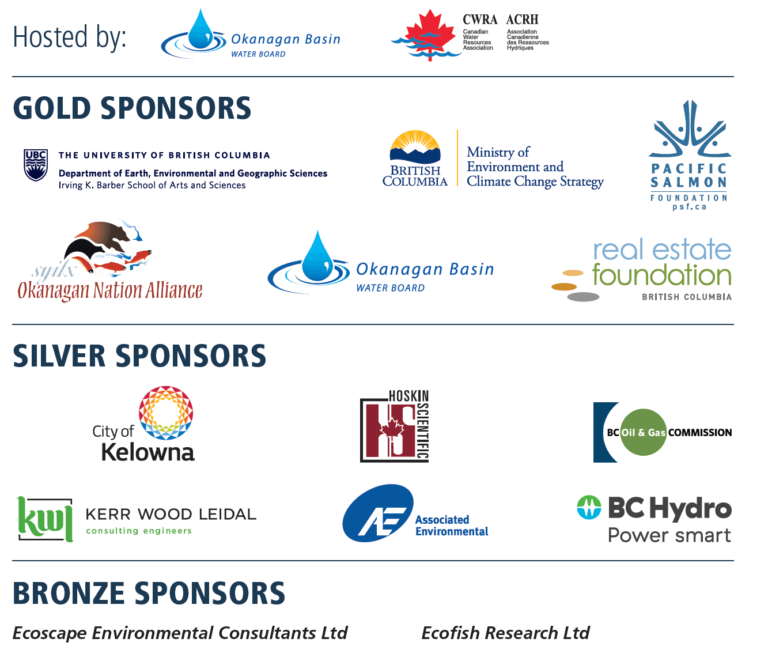 In locations where significant demand or competition for water exists, such as the Okanagan, scientists, policy-makers, planners, and regulators are now focussed on developing methods to determine appropriate EFN flow regimes. Various approaches for maintaining EFNs have been tested in North America and worldwide, but to date no approach has provided the one-size-fits-all solution to managing this complex issue. In B.C., the introduction of the Water Sustainability Act in February 2016 requires that EFNs be determined for water bodies potentially affected by any new proposed licences for surface or groundwater extractions. This requirement creates opportunities and challenges for water management and the need for better EFN science and collaborative dialogue among all water users to reconcile their needs and interests.